What it means: You’re on the hook for your own contests — and you’d better make sure they’re clear, fair and in compliance with local laws. Giving away something small — a gift card, say, or access to an event, or even bragging rights — can probably be done right from the page, with the “rules” clearly stated in your post. Giving away something more valuable — an iPad, for instance, or one of those expensive digital cameras — may require some more official documentation (and a third-party app). What it means: Make sure your participants know that this is your contest, not Facebook’s. It’s hard to accomplish this in a single Facebook post, so you may want to develop a standing “rules” page on your site or even a tab on your Facebook page. Linking to this page/tab from your contest message probably satisfies the Facebook requirement, but posting a disclaimer in the contest comments wouldn’t hurt. 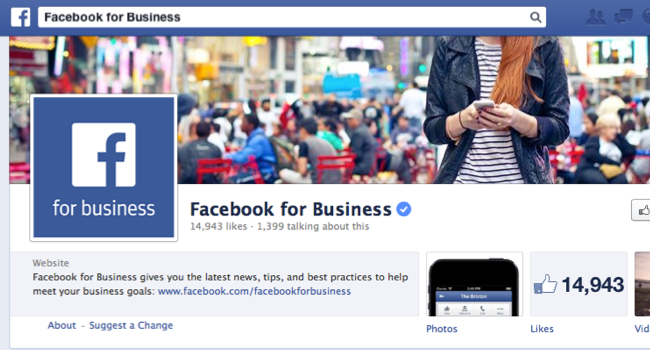 What it means: “Likes” can be counted as votes (hurray!). Asking people to post pictures or comments to your page is allowed. And collecting entries through private messages to your page is now acceptable. Many of these actions will, in fact, cause an update to the participant’s personal Timelines. But you can’t use sharing as the point of entry. What it means: You’re still on your own. Unless you’re an enterprise brand willing to spend like it, Facebook won’t hold your hand or have your back. There’s nothing new here. Facebook didn’t make a big deal about it, but it’s important to note that they’ve done away with the rule that said you could not officially notify winners on Facebook. Marketers bristled at this one for a long time, and they skirted the rule by sending their winner emails only moments before announcing them on Facebook. It’s now acceptable to announce winners the same way you recruited them in the first place — through your Facebook page. All of this is good news for marketers, but don’t think it comes cheap. You’ll still need to promote your contests to get them in front of your fans. And there will be many cases where the sophistication and data that come with third-party apps are an important business requirement. But for simple engagement or quick-turn contests intended to get the conversation flowing, Facebook has done the right thing. If you haven’t checked in a while, it’s worth having a look at Facebook’s official promotion guidelines, located on their Facebook Page Terms page. So, what do you think? Will the new rules affect the contests you run?